We know that your health has no price! Our main goal is to offer a safe tattoo experience to every client. Our expertise in sterilization, sanitizing and cross contamination is known throughout Quebec. Therefore, we can easily say that our standards in hygiene are much higher than those of many tattoo shops. First, each employee has had many hours of training in sterilization, sanitizing and cross contamination, and they all have received a certification. Second, our manager, Virginia, has a master’s degree from UdeM in biopharmaceuticals and she has worked in two major hospitals in Montreal. She learned a lot of techniques that make her capable of assuring the flawlessness of the sanitary operations at our studio. 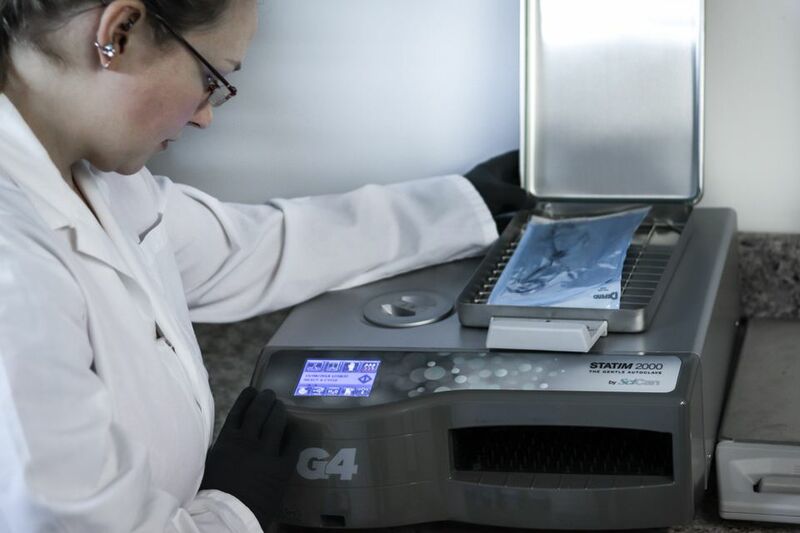 Third, every month our autoclaves are monitored by an independent laboratory (Germiphene®), to ensure quality check and the proper functioning of our equipment. At Zen Tattoo Studio, we make sure that all the equipment used in a tattoo session respects in detail every rule that is prescribed by the sterilization protocol of the minister of Health and Social services of Quebec and of Health Canada. Therefore, Zen Tattoo Studio guarantees that the equipment such as the needles, the disposable tubes, the ink, the razors, the plastics protectors and all the medical equipment are used only once. Regarding the metal tubes, Zen Tattoo Studio guarantees that they have been sterilized completely through a cleaning in an ultrasonic cleaner and a sterilization session in a new, certified and monthly monitored autoclave. This type of sterilization guarantees that any type of microorganism (bacteria and virus) will be denatured and completely destroyed at 100%. We firmly believe that a well-informed clientele takes the best decisions when it comes to choosing a tattoo parlor. Knowing that your health is most important, we want to explain to you every aspect of the sanitary operations that is done in Zen Tattoo Studio; from sanitizing to sterilization, without forgetting the hygienic procedures. Click on this link to read about our different procedures concerning sterilization.